The Read On. Get On. 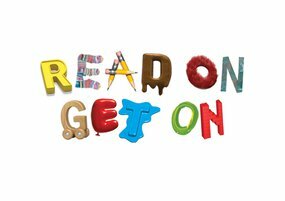 (ROGO) coalition has created a series of resources in collaboration with award-winning children's author Cressida Cowell to help close the gender gap in children's reading enjoyment and to get more children reading outside school on a daily basis. The resources have been created in response to the ROGO Index 2018 which found that, despite the gender gap in children's reading enjoyment narrowing in recent years, girls still outperform boys in all areas of reading: reading enjoyment (79.4% vs 70.4%), daily reading levels (57% vs 44.7%) and reading skills (89.1% vs 83.2%). The ROGO Index 2018 also looked at how well England's 11-year-olds are reading overall and found that their enjoyment of reading (74.7%) and daily reading levels (50.5%) lag worryingly behind their reading skills (85.7%). The Read On. Get On. (ROGO) coalition was launched by 12 charities and educational organisations in 2014 with the aim of getting all children in England reading well by the age of 11. In 2017, the coalition developed a tripartite model of reading which asserts that, in order for a child to read well at age 11, they must have strong cognitive reading skills (including phonics and comprehension), positive affective processes (including reading enjoyment) and positive reading behaviours (including reading daily). This measure of children's reading will be reported on annually through the ROGO Index. Find out more about ROGO.